Helmed by a pair of surprisingly young brothers, Akrivia is less than four years old but its movements possess the finesse and flair of more established makers. 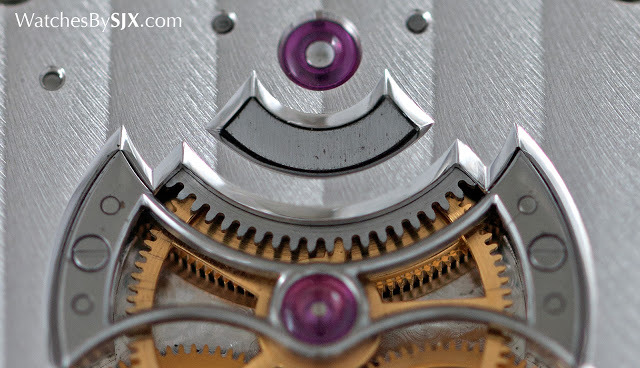 Now we go up close with the brand’s most complicated watch, the Tourbillon Chiming Jump Hour. 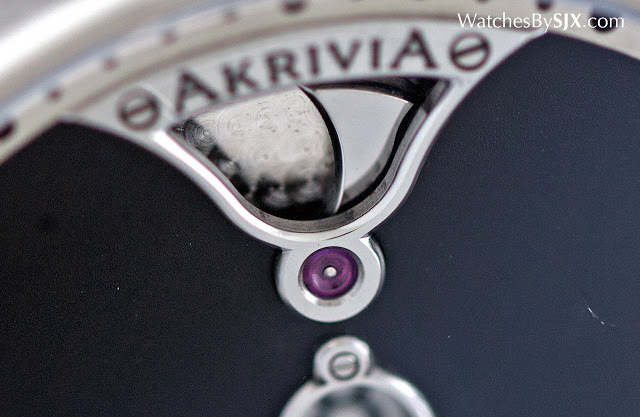 Akrivia is a nascent independent watch brand founded by a pair of brothers from Albania. 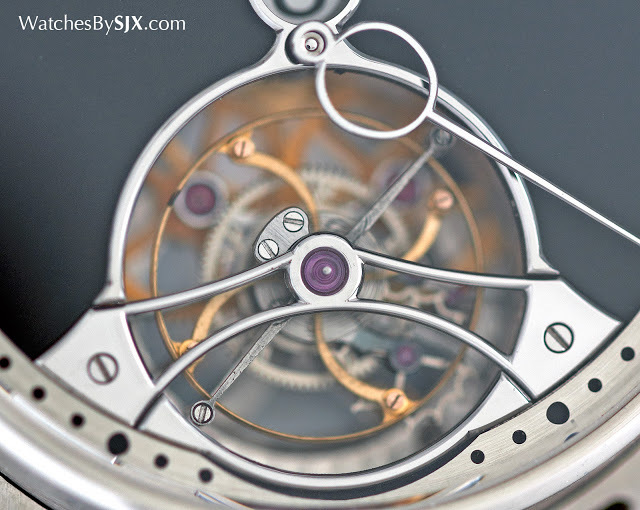 Though young – the elder is just 29 – the Rexhepi brothers have managed to design and manufacture impressively constructed and gorgeously finished movements. 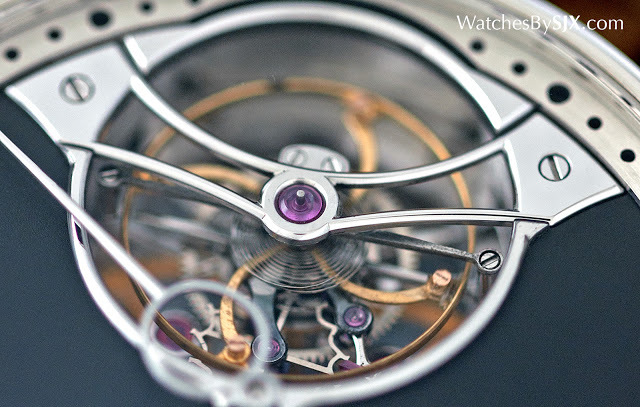 Their most recent, and most complicated, timepiece is the Tourbillon Chiming Jump Hour. Already an apprentice at Patek Philippe in his teens, Rexhep Rexhepi later worked at F.P. Journe. He then founded Akrivia in 2012 with his younger brother, Xhevdet, who was also a young watchmaker at Patek Philippe. Both grew up in Geneva, but hail from Kosovo, which is why they named their company after “akrivia”, a Greek word meaning adherence to religious law in the Eastern Orthodox Church. 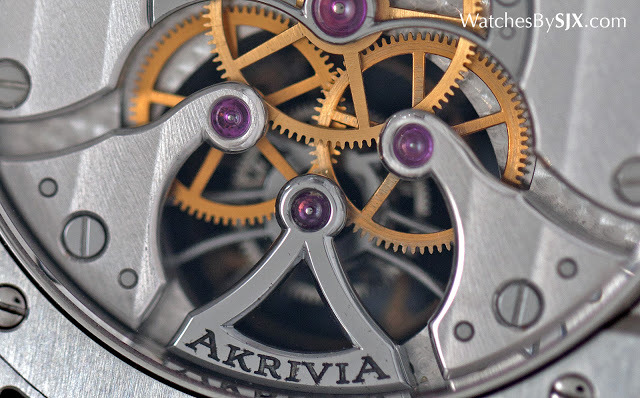 Akrivia is all about movements built and finished the traditional way, a philosophy that is immediately evident in the style and finesse of the movements. The watch pictured is a prototype, explaining the lack of finishing on certain parts of the tourbillon, but the skill and quality is apparent. That being said, a specimen of a completed Akrivia movement (which could not be photographed as it belonged to a client), did reveal some exceptionally minor imperfections. But given that the brothers’ age, they can go on to do great things. Introduced last year, the Tourbillon Chiming Jump Hour is a hand-wound jumping hour watch with a tourbillon as well as a striking mechanism for a single chime at the top of every hour. 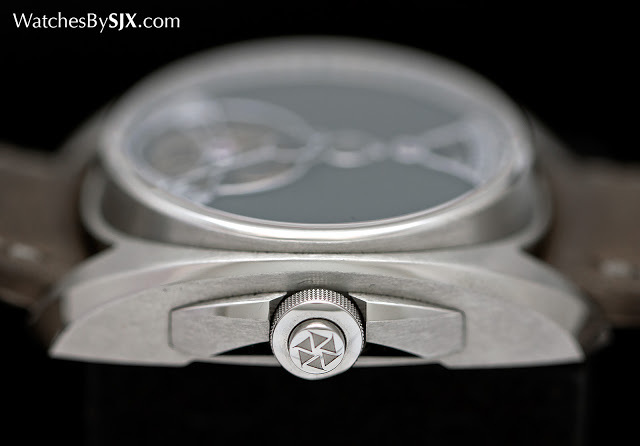 The case is stainless steel, 43 mm in diameter and chunkily shaped. 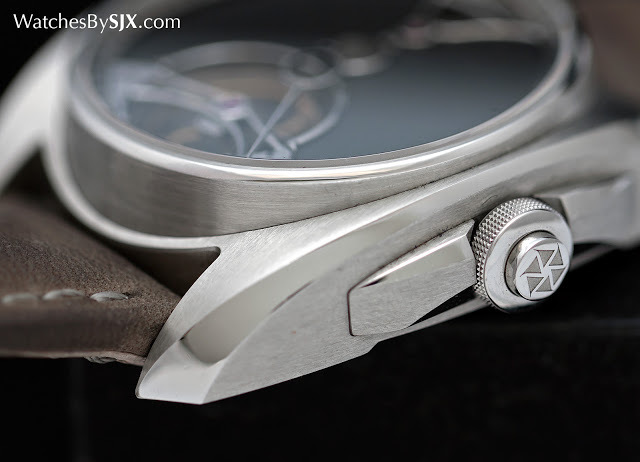 While the case is not one that will appeal to those who like traditional styling, it is well finished, with polished bevels that are meant to evoke movement anglage. The dial is a dark grey, with an unnervingly smooth grained finish. This is done by hand, accomplished by polishing the dial plate with a mixture of oil and powdered abrasive stone. 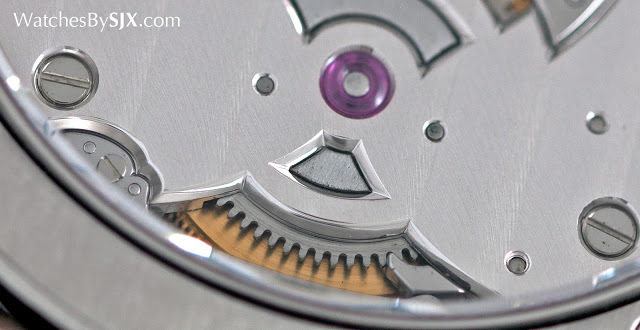 All the steel parts of the dial, like the hands and rings for the apertures, are polished with bevelled edges. The detailing is impressive. The movement is even more impressive. To start with, it is pleasingly symmetrical, with elegant shaped bridges that are well proportioned. The aesthetics of the movement show its creators not only understand the technical aspect of traditional watchmaking, but how it should look. The sum of Rexhep and Xhevdet’s ages is barely 35 years, which makes their creation even more admirable. They are worth keeping an eye on. 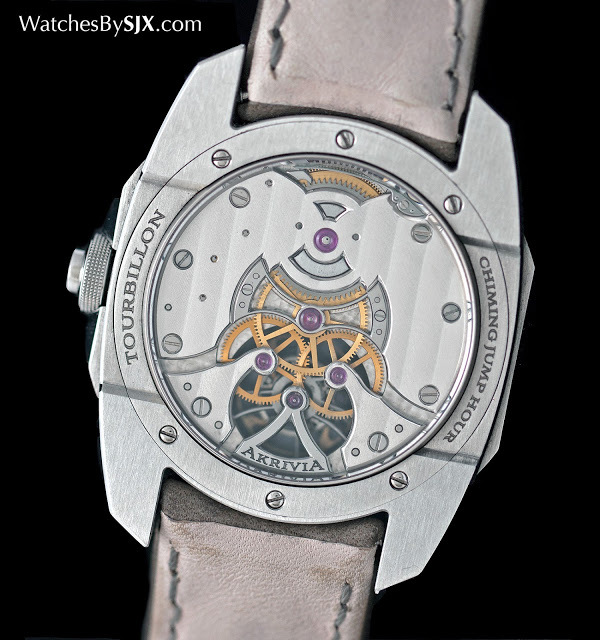 The Tourbillon Chiming Jump Hour is priced at SFr180,000. It can be customised, especially in terms of the dial.